What a hit! 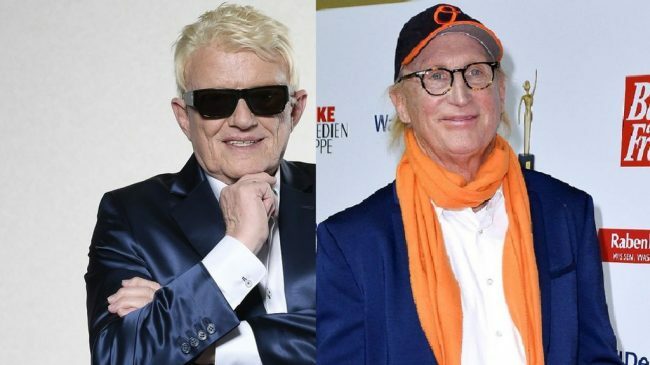 After 34 years comedian Otto Waalkes and Heino reconcile. Inspired by Michael Jackson’s cult video “Thriller”, in 1985 Blödel-Ostfriese Otto Waalkes (70) for ” Otto – der Film” (with 14 million viewers still Germany’s most successful movie strip) the undead rise from their graves – but as Heino zombies, who then smashed his hit “Black Brown is the hazelnut”. And that was exactly what Schlagerbarde Heino (80) did not find funny. “Otto is an A… He has no success without me. His jokes are 20 years old, “he railed in the Hamburger Morgenpost. And his grant went on – for 34 years he was mad at the comedian. Until now! Maybe even preventively, before you even forget why you actually quarreled, there was now the great reconciliation. “I was pretty angry with you then and would have liked to give you one chance,” says Heino to Otto. The gentian-lover admitted, that the movie would have brought him a popularity boost. “I saw the scene with humor and can still laugh about it today,” he says. “I did not mean it in a bad way. Every parody of me is always the most sincere form of worship. And it certainly opened up a new fan circle for you. You already have cult status, “says Waalkes. And before the beef (meaning an aggressive confrontation between two rappers in hip-hop jargon) still goes into the next round, Heino said mildly with a glass of red wine. “At our age you should just get along.” He is right!